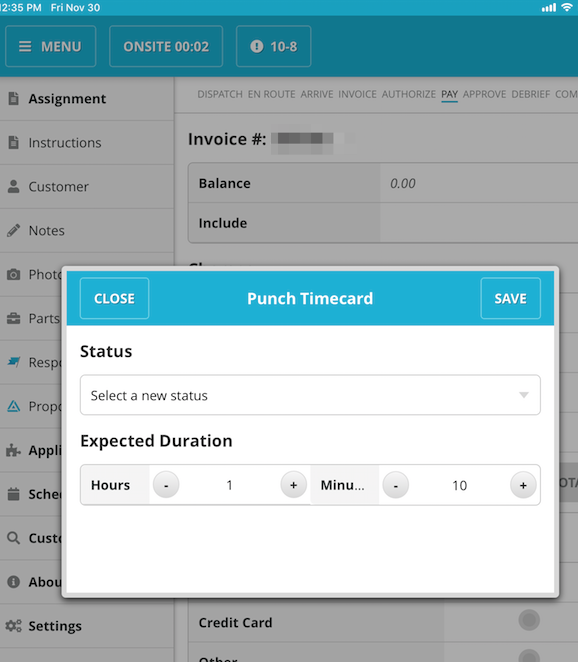 There are 2 times when you can make a timecard punch. 1. 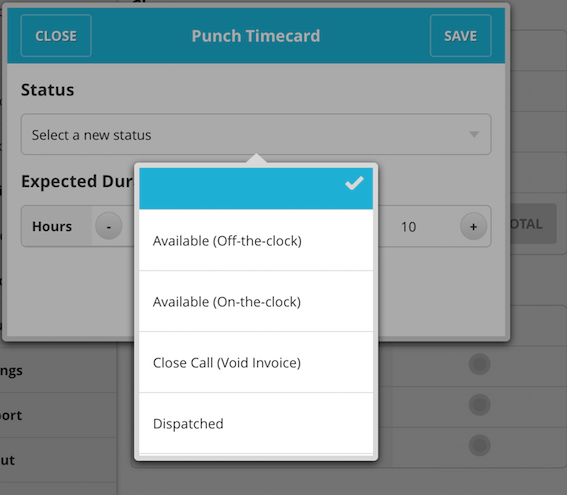 After pressing the Complete button, the Punch Timecard dialouge box will appear. a. Then tap the timecard status button in the top left of the screen (next to the menu button). b. Tapping this will open the timecard status Window. Press the Select a new Status dropdown. Choose the appropriate status, for ex Lunch.Then press Save. When the Tech is ready to go back to their assignment, they can press on their current assignment and it will load. 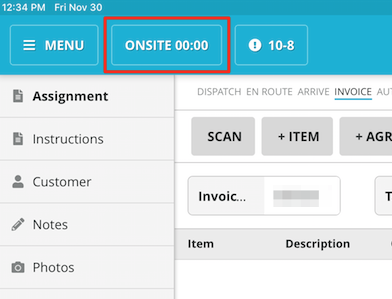 It will start them from the beginning of the job again and take them through the timecard punches in order again: Notified, Dispatched and back to Onsite.